If you have oily skin, you are well aware of its woes. Acne, pimples, blemishes, excessive shine in your T-zone – these issues often make your skin dull and lifeless. I know this. And I also know that you secretly desire even, glowing, bright, and healthy skin. The good news is, that is precisely what I am going to discuss here today. No. I will not promise that the tips I am going to discuss here will make you the “fairest of all” overnight or with continuous use. But I can assure you that they will definitely help brighten up your face and restore your original skin tone. And you will not stop admiring yourself in front of the mirror. So, here we go! 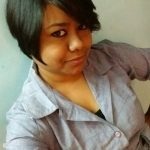 If you are tired of trying the brightness and fairness creams available on the market, these quick and easy tips will be of great help. Check them out! As soon as you wake up from sleep, splash lukewarm water on your face, followed by cold water. This closes your pores. Washing your face with cold water also tones the skin, makes it look fresh, and slows down the aging process by preventing wrinkles. If you think that people with oily skin do not need hydration, you are wrong. 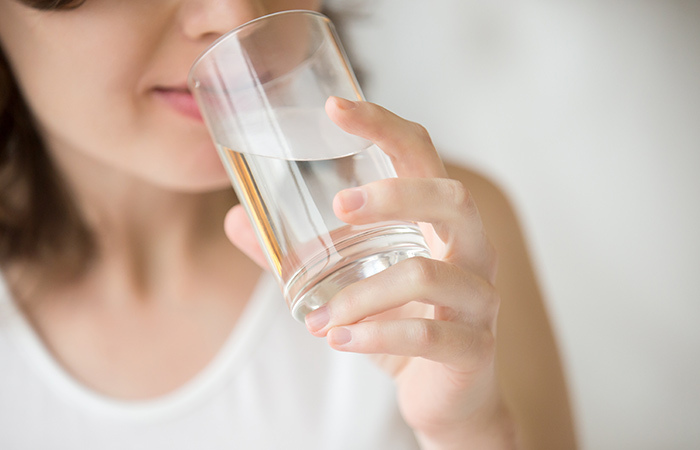 Drinking enough water helps your body get rid of toxins. It brightens up your face naturally, making it radiant and glowing. This is the best way to treat and pamper your oily skin. Mix some sea salt with lukewarm water and then massage it on your face. Sea salt contains loads of minerals and nutrients that are beneficial for oily skin. It removes excess oil and keeps your skin nourished. When you are stressed, your body releases cortisol, the stress hormone. And this hormone can cause premature aging and break down collagen. So, do meditation and yoga, learn a new skill, or indulge in your favorite hobbies to reduce the stress levels. Working out is crucial for great skin. A 30-minute cardio is enough to open the clogged pores and pep up your skin tissues. Also, exercise improves blood circulation, and your skin gets an adequate supply of all the nutrients. This automatically enhances your skin tone and boosts skin health. When you sleep, your body goes into the repair mode (including the skin). It generates new cells and increases the blood flow to the skin surface (now you know the reason for that morning glow!). This prevents eye bags and dark circles. Excessive exposure to UV rays damages your skin, accelerates the aging process, and results in age spots, blemishes, tan, and fine lines. So, whenever you go out, protect your skin with a powerful sunscreen (that has an SPF of at least 30). Yes. Oily skin needs moisturization. The moisturizer acts as a barrier, tricks your skin into producing less sebum, and gives it a smooth texture. It contains emulsifiers that bind oil and water and help the natural sebum penetrate deeper into the skin, thus reducing the oiliness on the surface. Whenever you use any product, be it a cream or a scrub, do not rub it harshly into your skin. If you over exfoliate your skin, it results in microscopic inflammation, swelling, clogged pores, redness, and blemishes. So, treat your skin gently. 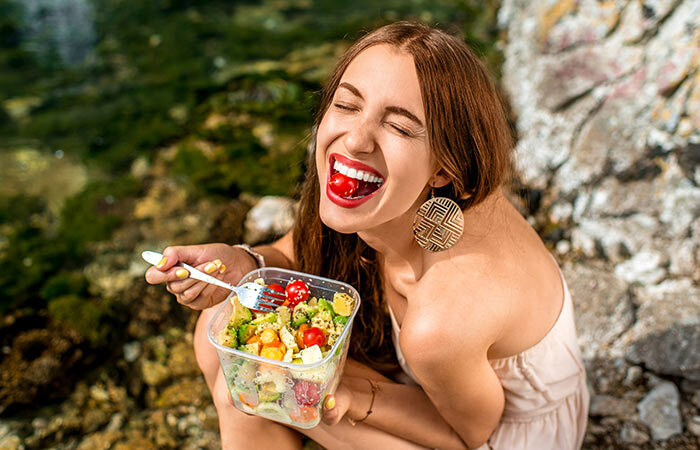 Consume wholesome food – because this is what will keep your skin healthy and glowing at the end of the day. Include foods rich in omega-3s in your diet. Consume cold water fish, such as tuna, halibut, salmon, and mackerel, along with vegetables and whole grains. You can also drink a glass of red wine as it is rich in antioxidants. 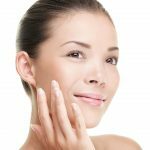 In addition to making these lifestyle changes, you can also try some home remedies to cleanse your skin and keep it bright and glowing. Check them out! Mix all the ingredients and make a paste. If it is runny, add more baking soda. Massage in a circular motion while applying. Remove the pack using a cloth soaked in lukewarm water. Lemon reduces blemishes and dark spots, making your skin look bright. Baking soda exfoliates your skin and makes it soft while honey soothes it and keeps it moisturized. Add lemon juice and honey to lukewarm water. Note: It is not necessary to drink this on an empty stomach. You can drink this any time of the day. 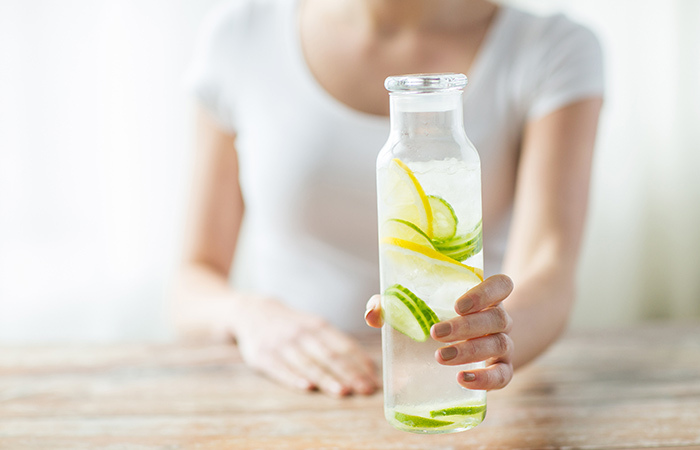 Lemon and honey water is an excellent detox for your body. It flushes out toxins and renders a natural glow to your skin. Take a cup of water in a container and brew a very strong green tea. Let it cool down. Mix the lemon juice in it. Put it in the ice tray and let it freeze. Take a cube, wrap it in a cloth, and apply to your face. Green tea is loaded with antioxidants, and it protects your skin from the harmful free radicals. Moreover, ice and green tea together shrink your pores and eliminate the acne-causing bacteria. 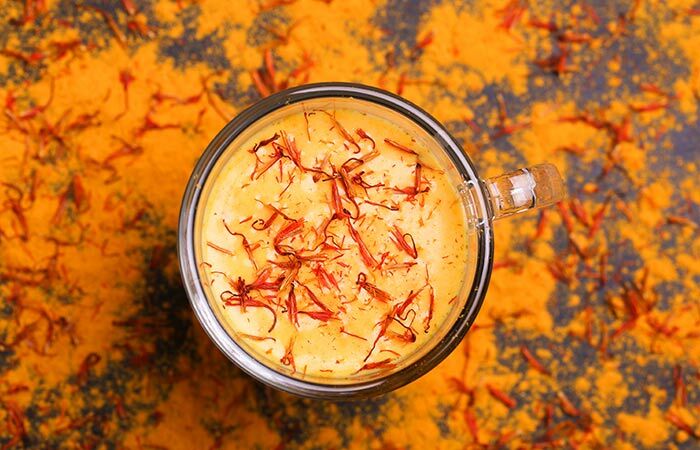 Soak the saffron in yogurt overnight. The next day, add gram flour and turmeric to the yogurt and mix well. If the consistency is too thick, add more yogurt. Make a paste and spread it on your face. Let it dry. This face pack is the best for oily skinned beauties. Turmeric brightens your face and has antibacterial properties while yogurt clears tan and blemishes, making your skin look bright and beautiful. Sandalwood is a popular skin lightening agent and is excellent for removing blemishes and marks. It prevents acne and further breakouts. Mix the ACV with distilled water and store in a jar. Put the cucumber slices in it. If you are using juice, mix it with the solution. Spray on your face 3-4 times a day. 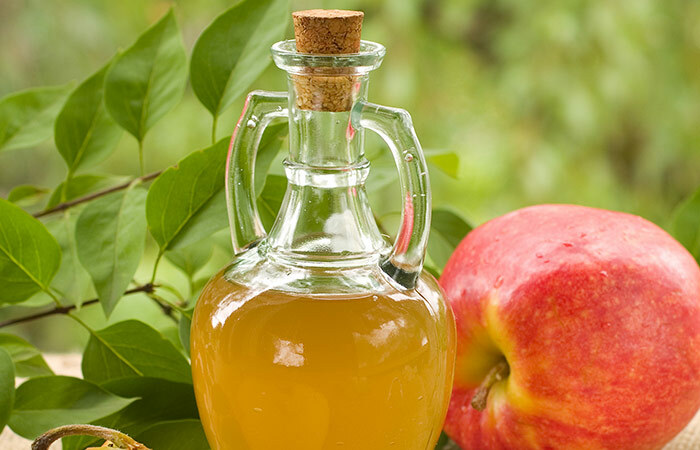 Apple cider vinegar has antibacterial properties. It kills bacteria and is a good source of alpha hydroxy acids (AHA) that shrink the pores, absorb excess oil, and keep your skin moisturized. In a bowl, mix all the ingredients and make a smooth paste. Apply it to your face. Avoid the eyes. Let it dry. Take a cloth and soak it in lukewarm water. Cover your face with the cloth for a while. Once the pack is soft, gently massage and remove with lukewarm water. Green tea contains antioxidants that keep your skin clear. It thoroughly cleanses your skin and kills the acne-causing bacteria. Clay absorbs the excess oil and tones your skin. This face pack makes your face bright instantly and gives you visible results. Mash the strawberries and make a pulp. Add yogurt and honey to this and mix well. Use a brush to apply the mixture all over your face. Allow your skin to soak in the goodness of the pack. 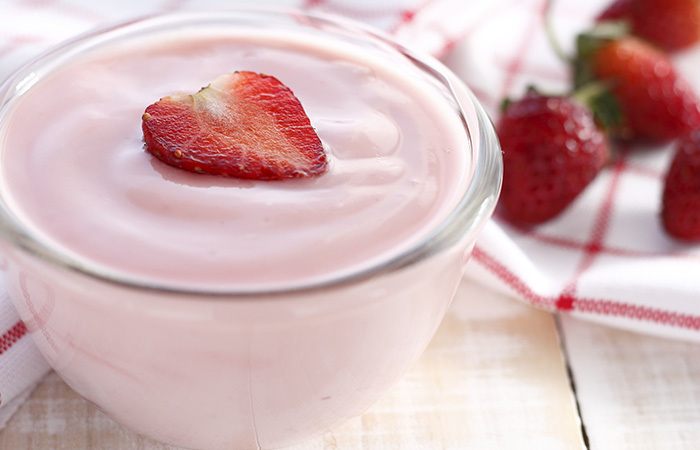 Yogurt contains lactic acid that nourishes, smoothens, and moisturizes your skin. This face pack deep cleanses your pores, reduces acne and pimples, and keeps your face fresh. Take a small glass jar and fill half of it with the sea salt. Add enough water (or oil) to make a paste. Take a small amount of the paste and massage gently on your face. The mineral content of sea salt is extremely high, making it one of the best ingredients for your skin. It exfoliates, nourishes, and hydrates your skin while killing germs and boosting cell regeneration. Mix the cucumber juice with honey. Let it stay for 30 minutes and then wash with water. 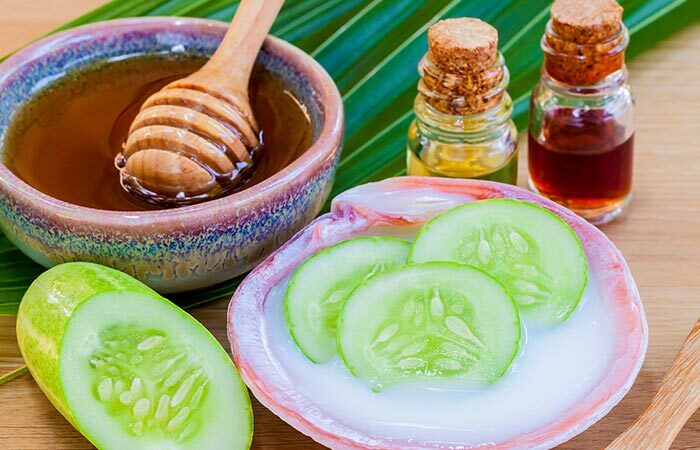 Cucumber juice tones your face, and honey absorbs the excessive sebum. Honey is also a humectant and prevents your skin from drying up. Take a bowl and mix all the ingredients. You can adjust the amount of milk as per the desired consistency. Papaya, honey, and milk fight acne and pimples and their marks. This mixture has antibacterial properties. It cleans the pores, gently exfoliates the skin and keeps it hydrated, and reduces blemishes. Add lemon juice and whisk to mix the ingredients properly. Clean your face and apply the mask. Once it is dry, wash with lukewarm water. Follow up with a light moisturizer or skin serum. 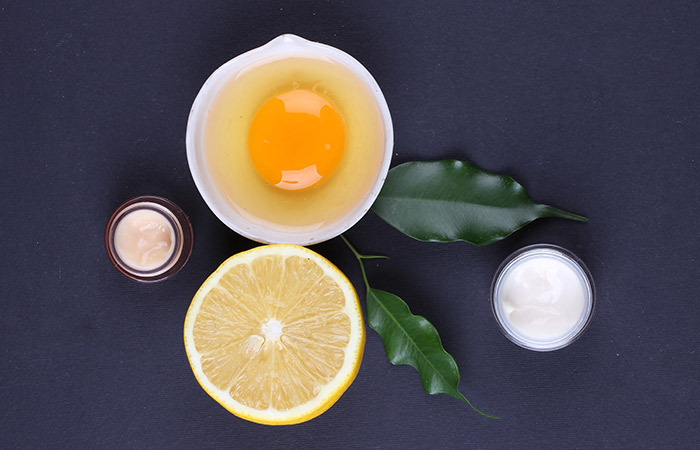 Egg white works best for oily skin. It shrinks the pores and tightens the skin. You will feel the effect immediately after applying the face mask. Blend both the ingredients and make a paste. Apply all over your face and neck. Let it dry. This works best for tan removal – so what you will be left with is glowing skin. Moreover, turmeric has antibacterial properties that keep germs away. Mix the ingredients well to form a thick paste. Apply the face pack. Let it dry. 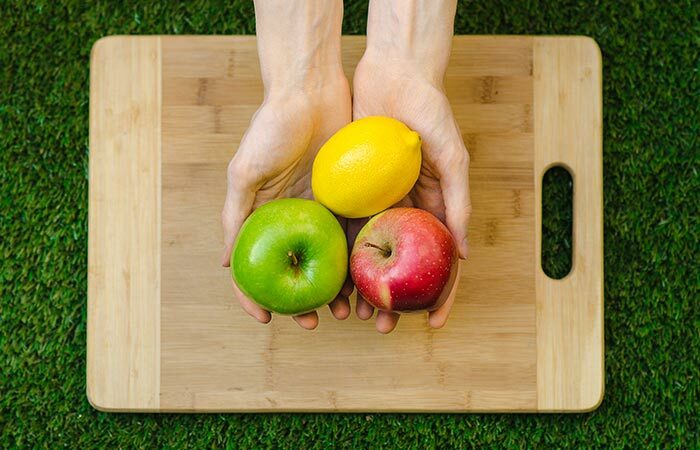 Apple contains vitamin C, which is beneficial for the skin (whether ingested or applied topically). It helps restore the collagen in your skin, keeping wrinkles and signs of aging at bay. Lemon juice gently exfoliates the dead skin cells, lightens blemishes, and makes your skin soft. In a bowl, mix all the ingredients and make a paste. If the consistency is too thin or too thick, adjust it by adding gram flour or carrot juice. Apply it to your face and neck. Keep it on for an hour. Wash it after an hour with lukewarm water, followed by cold water. This face pack is excellent for tan removal and also has anti-aging benefits. It clears your skin and makes it bright. Moreover, the antioxidants in the mask reverse skin damage. Oily skin needs extra care. This is because this skin type is most prone to whiteheads, blackheads, acne, pimples, and scarring, which make your skin look dull. Moreover, the oil and grease absorb dust and make your skin appear darker than usual. Follow these tips and try these face packs to get your natural skin tone back and keep your face bright and glowing. Let us know how they worked for you by posting a comment below.